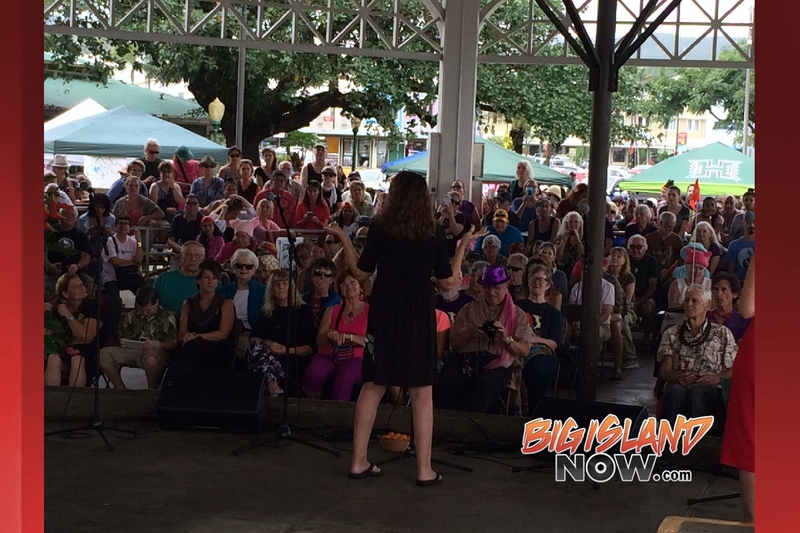 Hundreds of people attended the 2018 Hilo Women’s March Civic Engagement Expo that happened today, Saturday, Jan. 20, 2018, from noon to 3 p.m. at the Mo‘oheau Bandstand in Downtown Hilo. Teresa Shook speaks to the Hilo crowd. 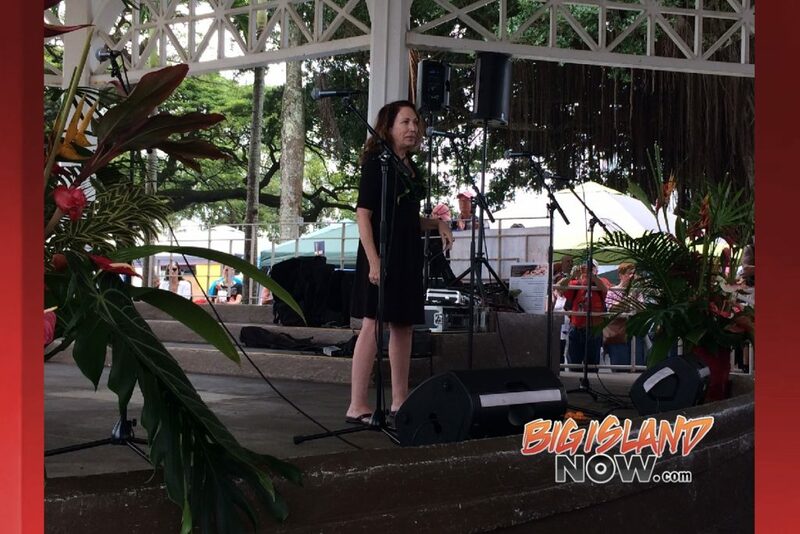 Teresa Shook, founder of the National Women’s March, was the featured speaker at the civic engagement expo in Hilo. Shook shared her story about the birth of the Women’s March and the movement. The theme for this year’s event was “Imua – Doing My Part” (Imua means to move forward with purpose). The 2018, Women’s March event celebrated last years’ success. Hilo organizations, female office holders and women running for political office were present. The whole event was designed to help effect positive changes in the coming year. Click to open for a Big Island Now panorama shot.